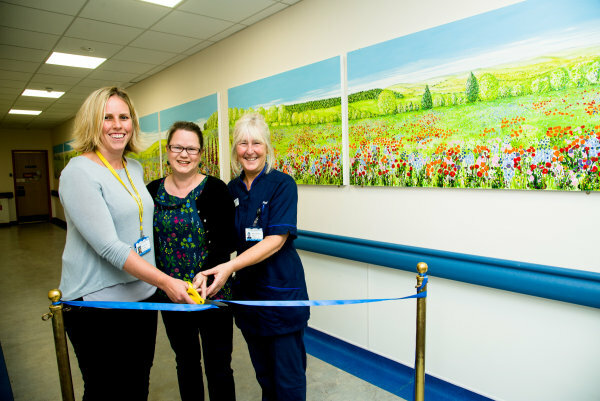 in 2017 Becca was commissioned to paint 12 large paintings for Frimley Park Hospital for Ward F14. 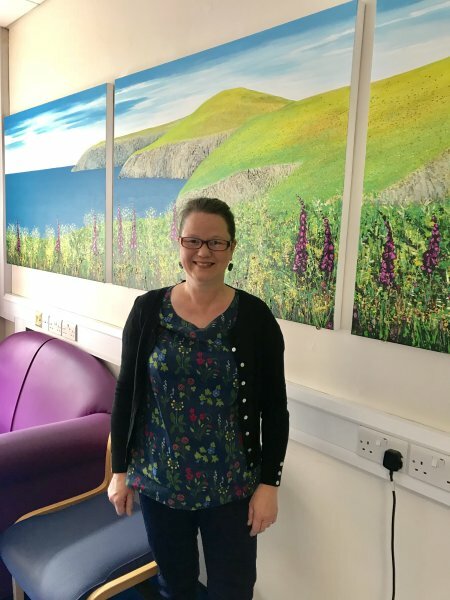 The work took 6 months and culminated in the 9 main landscape paintings (stretching across a full 13.5 metres) being hung in the ward in June 2018. The other 3 paintings based loosely on the Pembrokeshire coast were hung in another room in the ward and covered 3.5 metres in length. Cards have been produced of details of the triptychs and are being sold with 50% of the profits going directly to Frimley Park. Please contact us on the contacts page if you are interested in buying some.